"Along with LACMA's annual event, LACMA MUSE ART WALK, CAFAM will be featuring over 15 local vendors, offering the best in handcrafted, fair-trade, and artisan-produced items. Some one-of-a-kind treasures you will find include ceramics, handmade candles, vintage image magnets, jewelry, clothing, hand-blended fragrant oils, hand-blown glass, and more. As always, CAFAMs award-winning Museum Shop will be open with a further array of worldly treasures! Music and refreshments will be provided." The location is the California Craft and Folk Art Museum Courtyard located at 5814 Wilshire Blvd., across the street from LACMA. I will be bringing an array of all our scented delights as well as some of the brand new perfume lockets created in collaboration with Lori Patton of Heartworks by Lori. Please stop by and introduce yourself. Master Gregorio, the illuminator of our perfumes, will also be on hand. We look forward to meeting you and sharing the world of botanical perfumery. In the evening we are off to a fund raising event for Project Peace on Earth to finance the upcoming June 7-12 pre-production trip to Manger Square in Bethlehem, Palestine. Greg and I met Steve Robertson (the brainchild of Project Peace on Earth) and his loving wife Teresita when we all did the "Heart Virtue" Saturday workshop together. We are delighted to be contributing our talent to help raise funds for this extraordinary event. I have been formulating a perfume for Project Peace On Earth for some time now. At the event I will offer a short educational presentation about botanical perfumery and the quest to manifest a Peace Perfume. I am looking forward to everyones feedback on what the is the scent we most associate with peace. 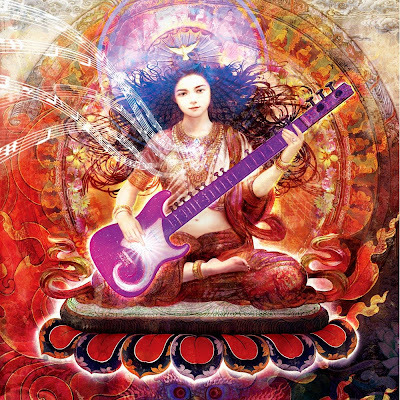 In early 2008 Greg began collaborating with the renown T’angka painter Romio Shrestha to create an image together for Project Peace on Earth. The image manifested within a few months and is now available for everyone. Be the first to view an awesome, hot off the press 32"x47.5" limited edition giclee print of the Peace Has Begun artwork! Created by Greg and Romio this art embodies the spirit of Project-Peace On Earth, and the union of east and west cultures. There will be two limited edition versions for sale, (300) 26"x39" lithograph posters at $50.00 each, and (25) 32"x48" high end giclee prints at $1000.00 each. These prints will be numbered, signed, and embossed by the Peace Has Begun seal. Available for pre-order at the May 30th fund raising event mentioned above, and online now at the Spalenka shop on Etsy. The editions will be available end of June for pick up at a gala celebrity signing, and for shipping. Order now, as these will sell out fast. 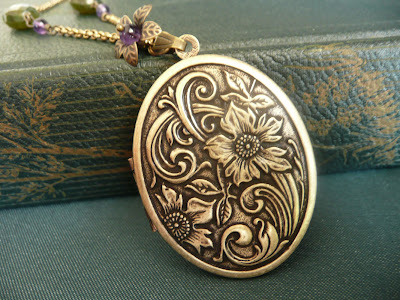 Photograph at top embellished perfume locket, Peace Has Begun Image ©Greg Spalenka. This is great, and I actually could have made it had I not gotten tickets to a play in Pasadena the same night. Oh, how very sad that I will miss meeting you. Good luck with the event and it sounds like heaps of fun. Mrs.LittleJeans, It will be a pleasure when I get to visit you in person. The event today at the Museum is from 10am-6pm. Enjoy the play! Eclectic, Thank you so much for stopping in and wishing us well today. Intending a fabulous weekend for you.